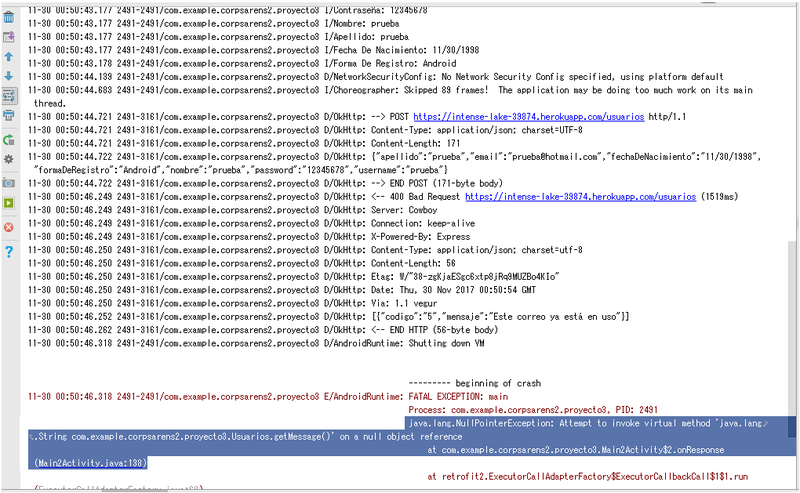 So i can see the logcat response but in the body its appoint to null, how i can acces to the "message"? Of course that you can use another parser like Gson . Email codedump link for Why response.body() its null?